The days are definitely cooler. I have noticed that the light is also softer. Everything seems quieter, except the animals scurrying about gathering their nuts for winter. Our dogs seems to be in a constant tizzy, eager to chase the squirrels and other creatures as part of the daily sport of Fall. My arms are growing stronger by the day! It is so interesting to me that when it is hot outside I have so little desire to cook...and especially bake. But now that it is cooler, I am poring over my healthy cookbooks looking for fun recipes of muffins and biscuits to bake. Today I went for a muffin to go with a chopped chicken with blanched snap peas, toasted almonds and Mandarin orange salad with Romaine Lettuce and Soy-Orange Dressing. 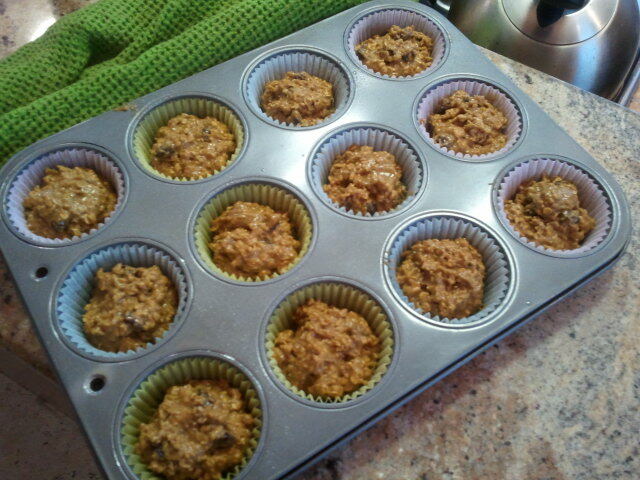 I went for an Oatmeal Raisin Muffin from a Cooking Light Cookbook. It was a big hit. 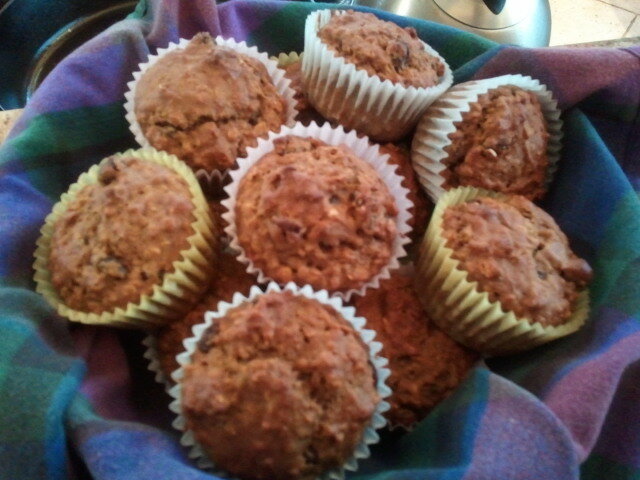 It is a heartier muffin with the oatmeal and raisins. I am big on finding good recipes with oatmeal these days since it is a "sticky fiber" and particularly healthy for us in lowering our cholesterol. 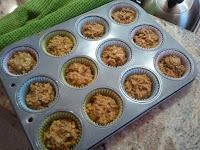 I found the same recipe on line at Cooks.com (Oatmeal Raisin Muffin). 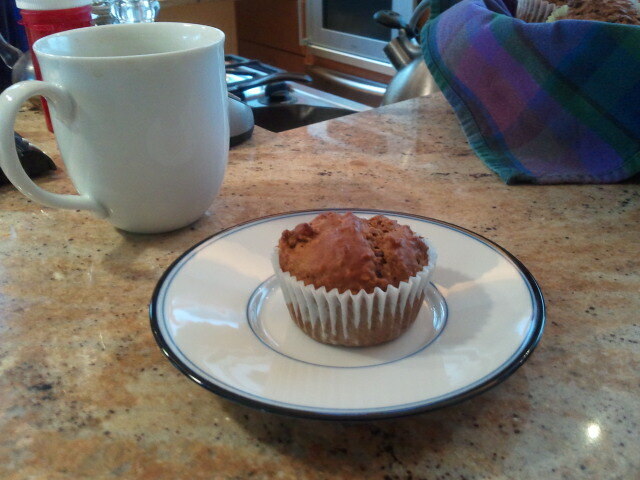 According to my cookbook, the muffins have 128 calories a piece. I couldn't find any Muscat raisins, as the recipe calls for, so I used regular raisins. Another recipe, with similar calories and ingredients, but without the raisins, I found at the American Heart Association website (Applesauce Bran Muffin Recipe). It might be worth a try if you are not big on raisins but are in the mood for a heartier muffin. They are also great with a cup of coffee mid-morning. Give it a try!